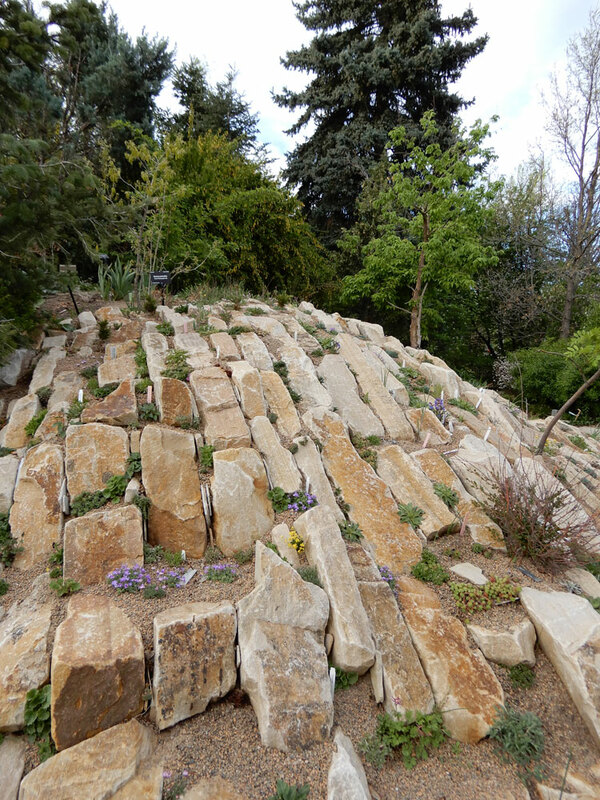 Mirroring the natural alpine and woodland habitats that the Rock Alpine Garden is inspired by, spring is a great time to walk through this garden. Both alpine and woodland plants bloom early in the year in response to the physical restraints of their native environments. 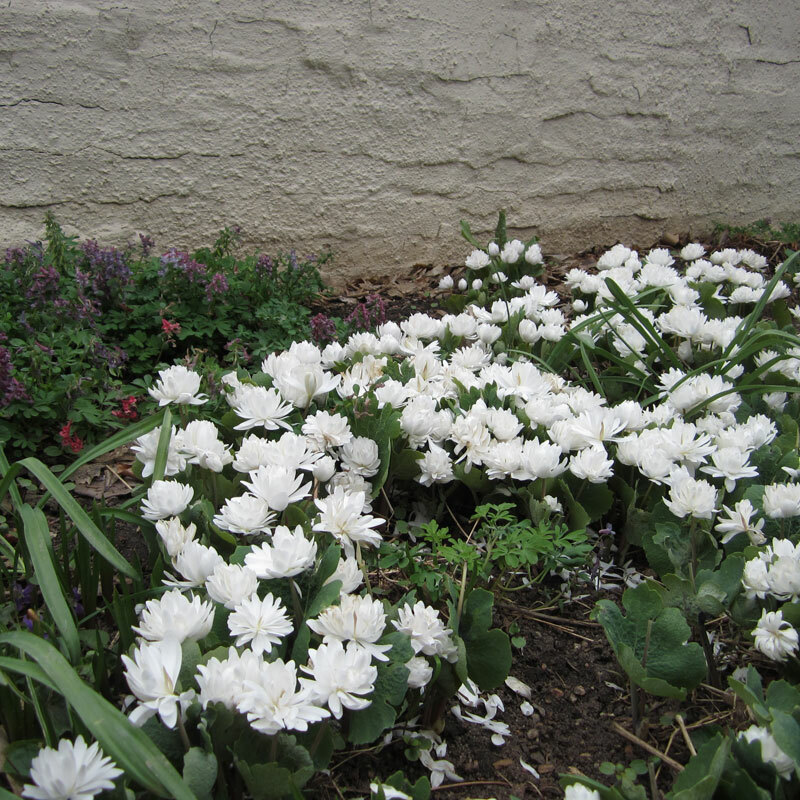 Alpines are programmed to bloom as soon as the snow melts in their native environments. 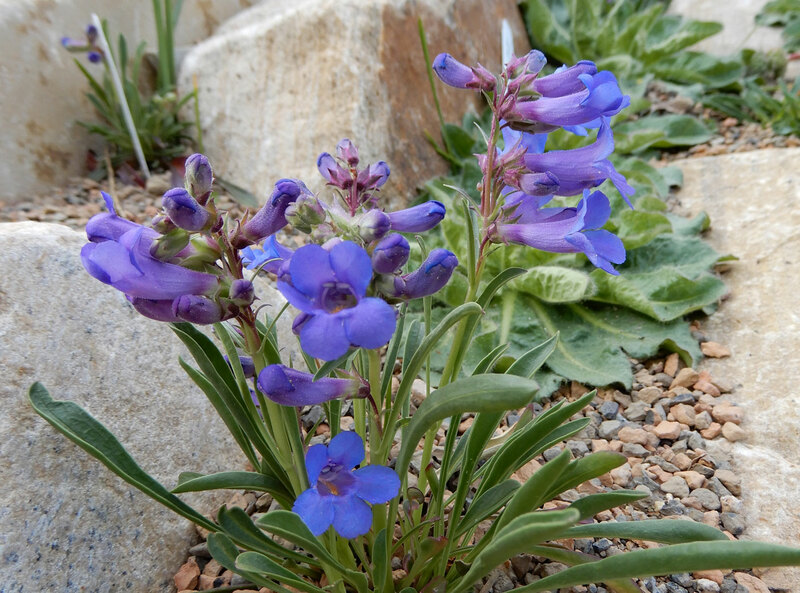 Plants you might find on Loveland Pass or Trail Ridge Road blooming in late June or July bloom in Denver in April. One of the best areas to see true alpines in the Rock Alpine Garden is the crevice garden on the south side of the main path — Draba, Potentilla and Erigeron bloom in tight north facing crevices. Additional areas to see true alpines are in the various troughs scattered through the garden — Silene acaulis, Polemonium viscosum, and Hymenoxys grandiflora should flower by the end of the month. 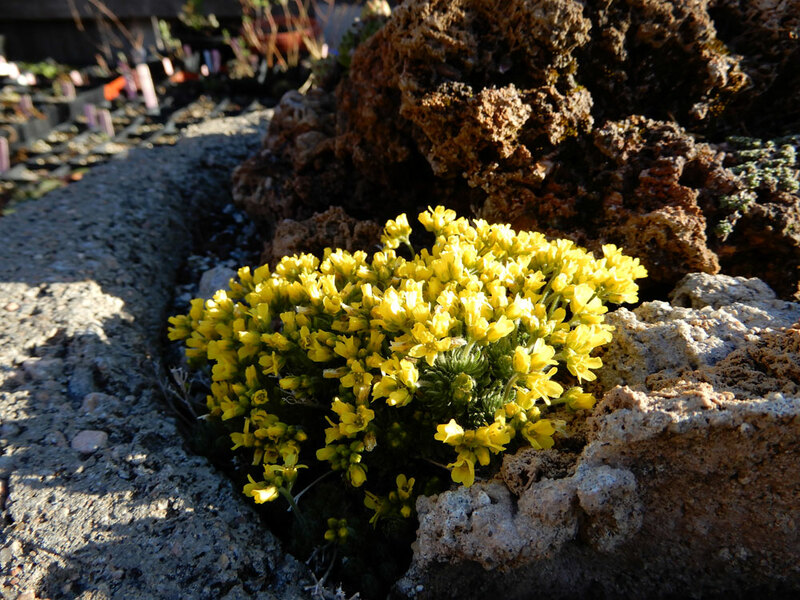 The north side of the Cactus and Succulent house is another great place to focus on the early flowers of Draba from Eurasia, and the mat and cushion forming plants that creep and crawl amongst the rocks. 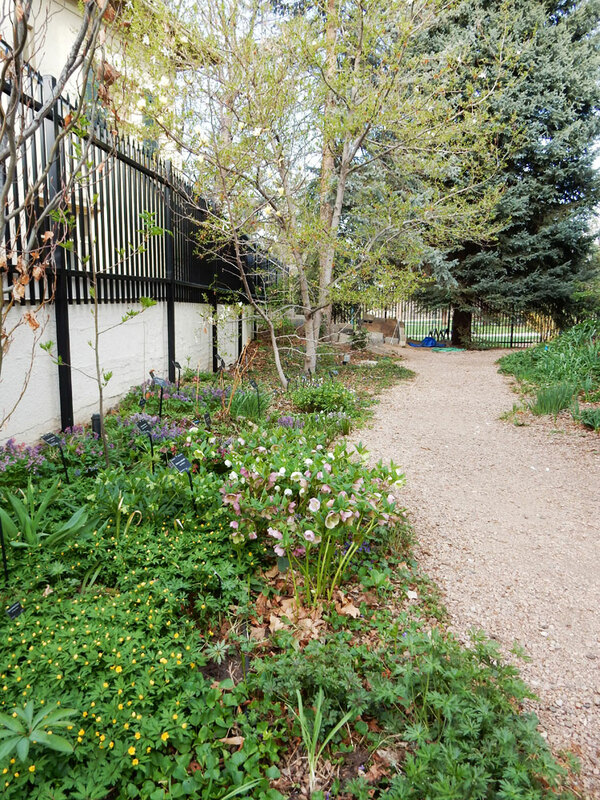 One of my most favorite “secret areas” in the Rock Alpine Garden is the far southern path that takes visitors along the far southern edge of the garden along the perimeter fence. It passes through some of the best woodland areas in the rock garden. Take time to enjoy the full variety of plants in the densely-planted area. If one enters the path near the crevice garden at the east entrance near the South African Plaza and you continue on this path, it will take you into more woodland areas of the rock garden which rarely get the visitation they deserve. Passing down a slight slope take in the various Lenten roses (Helleborus) and woodland sweet peas (Lathryus vernus) along the path. A spectacular show awaits visitors in the far southwest corner of the Rock Alpine Garden along the stucco wall at the boundary with the neighbors. 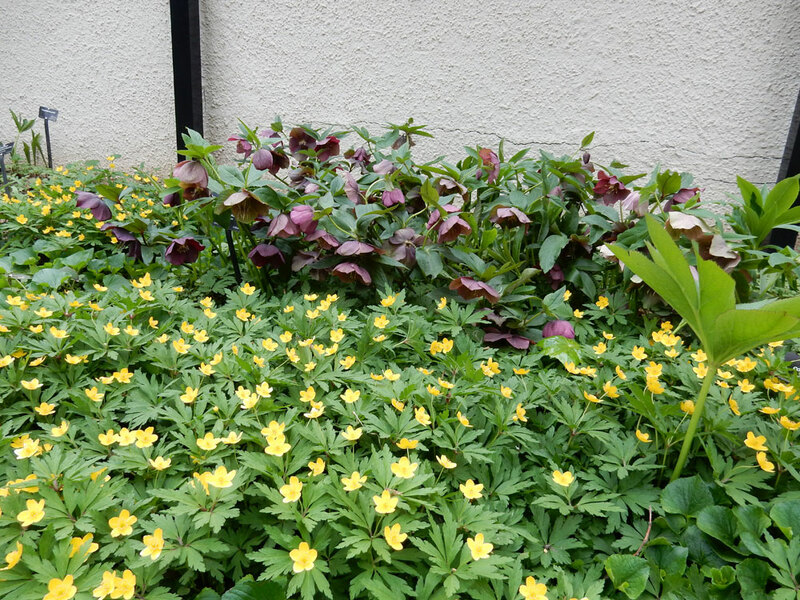 Here a beautiful display of Helleborus, Corydalis, wind flowers (Anemone), bloodroot (Sanguinaria) and violets (Viola odorata) create a tapestry of color in April. Many woodland plants are programmed like alpines to bloom during a short season. Unlike plants high on top of a mountain which are delayed until warm temperatures melt the snow, woodland plants bloom in early spring before the trees above leaf out and block out the sun. This means the woodland areas are at their best in April as well. 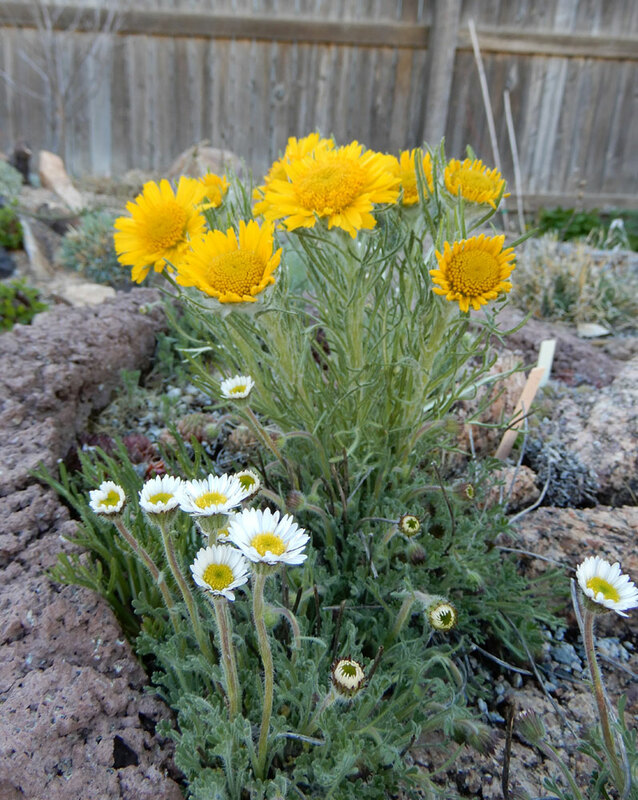 I hope you can make it to the Rock Alpine Garden in the month of April. While you are at the Gardens make sure and check out the alpine section of the Mordecai Children’s Garden — it should be in prime color as well.